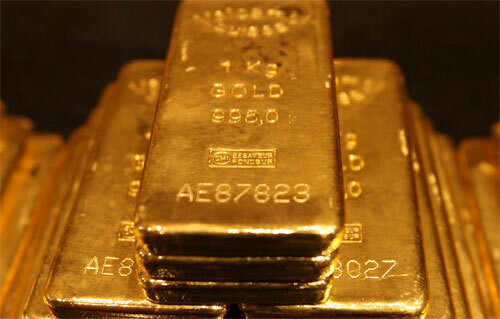 Gold is one of the most popular investments for any broker. Gold is one of the only forms of legal tender that does not depreciate in terms of value, which is why it is so popular. Invest in gold and you have a great chance of making a lot of money in the future. However, like all investments, there are a lot of dangers. Whether it is stocks and shares or gold, you will always experience some form of risk. Luckily, there are ways you negate the risk. Some investments are costlier than others, and you don’t want to spend money you don’t have on investments. It doesn’t matter how lucrative the investment is, if you are spending more than you can afford you are putting yourself at undue risk. So, ask yourself are you looking to invest a lump sum? Or, are you looking for something shorter-term? Certain gold investments will need you to put down a lump sum to acquire the assets while others are more flexible. How Long Do You Want To Invest For? Do you need the money before or on a specific date? If you do, you need to read the fine print very carefully. Some investments run for a fixed period, so they might not be right for you if they don’t coincide with a particular date. With regards to gold, it is a long-term investment. Although it doesn’t lose its value, it should not be viewed as another asset. Shares and bonds are not a commodity like gold, and should never be traded in the same sense. If you are looking to make a quick buck, you want to leave gold alone. Do You Need An Income From Your Investment? Again, if the answer to this is yes, gold isn’t the right investment. Quite simply, gold is put away for a rainy day. That rainy day is when you are struggling to make ends meet and have no other option than to trade in your gold reserves. If you are looking for a steady income to supplement your mortgage, you should consider property. A property is one of the only investments that pays out in the short and long-term. If you are assets are liquidated, will you need to turn to your investment? This is the scenario that is perfect for investing in gold. You will probably not get quoted a price lower than the money you paid for the investment, and might even get more than you invested. Plus, gold is quite easy to sell off because it is a commodity that is in demand and is short in supply. What Are Your Storage Options? Don’t invest without thinking about storage. It is one thing having the gold in your hands, but it is another trying to keep it safe and secure. Conventional method dictates you keep it in a locked safe, or even bury it in the garden deep underground. One alternative is Hard Assets Alliance. They are experts in handling investment portfolios, especially when that portfolio includes precious metals. Be safe, don’t be stupid.